Located in a suburb about 4.5km west of Kyoto Station, Katsura Rikyu Imperial Villa is regarded as the pinnacle of Japanese architecture and garden design. One of four imperial properties in Kyoto (the other three are Kyoto Gosho Imperial Palace, Sento Gosho, and Shugaku-in Rikyu), Katsura Rikyu Imperial Palace is where the most sublime techniques of Japanese architecture and garden design come together. Sometimes translated as Katsura Detached Palace (“Rikyu” means detached palace), the villa was built in the early 1600s by Prince Hachijo Toshihito on land given to him by Shogun Toyotomi Hideyoshi. The prince was a huge fan of the Tale of the Genji, one of Japan’s earliest novels, and the garden at Katsura Rikyu recreates many scenes from the book. The garden is a stroll garden, meaning that you enjoy it by walking through it, and new and appealing vistas reveal themselves at each turn. There are four teahouses and several larger buildings in the compound, each of which reflects the highest achievements in Japanese architecture and carpentry. 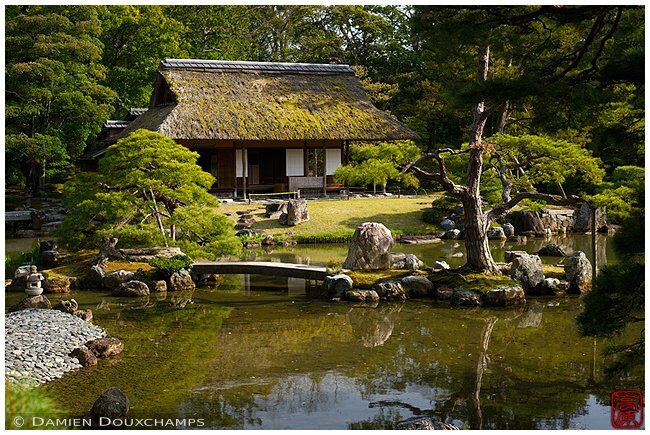 There is no doubt that this is a must-see for serious fans of Japanese architecture and gardens. 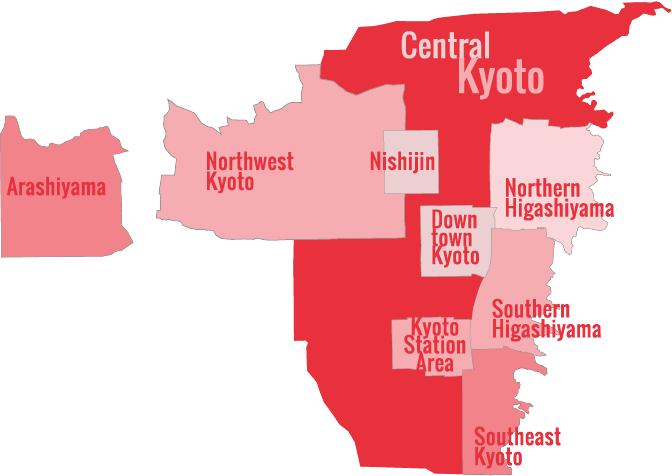 However, in our opinion, three things detract from a visit here: 1) the need to apply for permission to visit, 2) the fact that you must visit as part of a group tour (so that you cannot linger and savor the garden at your own pace), and 3) the fact that the garden is outside central Kyoto and surrounded by drab suburbs. For this reason, we don’t often visit Katsura Rikyu. If you want to see a superb Japanese garden and traditional house, you might find it more enjoyable to visit Okochi-Sanso Villa in Arashiyama, which can be visited without permission at any time and is almost as beautiful as Katsura Rikyu, at least in our humble opinion! In order to visit Katsura Rikyu Imperial Villa, you must apply to the Kunaicho (Imperial Household Office). The office is inside the Kyoto Imperial Palace Park, the park that surrounds the actual Imperial Palace. The Kunaicho is just a short walk from Imadegawa Station on the Karasuma subway line. Application is painless – you just have to fill out a form and show your passport. See Opening Hours below for more details. Note that children below 12 years of age are not permitted to enter Katsura Rikyu Imperial Villa. You must apply to visit (see Admission to Katsura Imperial Villa above). Tours are not available everyday. The villa is often closed on Saturday, Sunday and national holidays. Ask at the Imperial Household Agency when you apply to visit. Tours in English start at 10am, 11am, 2pm and 3pm. You should arrive about 20 minutes before the start of your tour. Tours last 40 minutes. 15min walk from Katsura Station, Hankyu line (some express trains do not stop at Katsura – check before boarding). A taxi from Katsura Station to the villa costs around Y700. Katsura Rikyu Imperial Villa is located in Kyoto’s Arashiyama district. See our complete list of things to do in Kyoto’s Arashiyama district, including places to eat, nightlife and places to stay.